ABANDONED TEXAS OIL WELLS SEEM AS ‘TICKING TIME BOMBS’ OF CONTAMINATION | "Global Possibilities"
IMPERIAL — Peculiar things can happen after folks drill deep into the earth — looking for oil, water or whatever — and leave a bunch of holes in the ground. Fluids can gurgle and leak, migrating where they don’t belong. In rare instances, land could even sink or collapse. The oddest unintended consequences tend to bubble up in this pockmarked slice of West Texas, where wildcatters started poking holes in the ground nearly a century ago. 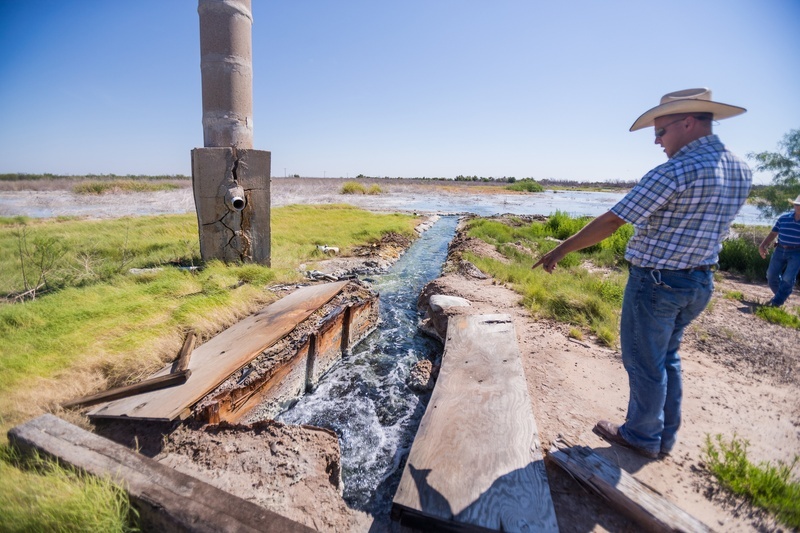 “If this stuff was even close to Austin, hell, it’d be national news,” said Ty Edwards, the fresh-faced assistant general manager of the Middle Pecos Groundwater Conservation District, as he barreled down an empty stretch of highway during a June tour of the some of the standouts. Texas, the nation’s petroleum king, is home to nearly 300,000 wells currently pumping oil, gas and dollars into the economy. But those are hardly the only holes that petroleum companies have bored into the Texas landscape. As far back as 1990, Texas touted more than 1.5 million oil and gas-related holes, including hundreds of thousands of test wells, service wells and those that came up dry. And even prolific wells don’t always pump forever. When most wells end their service, no big deal. Operators plug them, limiting pollution threats, and move on. But when companies leave their wells open, a practice predating Spindletop and other prodigious early strikes, that’s another story. Amid a recent oil market crash that followed years of frenzied drilling, Texas is among several states — including Louisiana and Oklahoma — grappling with a surge of abandoned drilling sites and dwindling funds to clean them up. Occasionally, the wells yield pollution you can see: oil, brackish water or other smelly substances leaking onto the land. But the biggest threats lie thousands of feet underground: the possible, but tough-to-detect migration of oil and other toxic minerals into aquifers or water supplies. Off of Farm-to-Market Road 1053 a few miles south of the Permian Basin town of Imperial (population 278 at last count) and next to a crumbling church, sits what locals call Boehmer Lake. It’s not really a lake, and you wouldn’t want to wade in it. Its waters have tested more than three times saltier than averages in the Gulf of Mexico, with sulfur and salt crystals coating the surrounding vegetation. It attracts birds that don’t seem to belong here. “Isn’t that wonderful?” Edwards asks sarcastically as a reporter takes a whiff of the stench. The source of the putrid smell: a well that has gushed for more than a decade. And it’s only getting bigger. Oil wells are bored through multiple layers of rock and other geology, aiming for below where groundwater pools. The idea is to tap the oil or gas deposits and pump them to the surface without letting any seep into other layers. Oil and gas comes up through metal piping that helps keep it from mixing with water resources. Cementing around that piping adds more layers of protection. At Boehmer Lake, brackish San Andres aquifer water is shooting through a corroded wellhead, mixing with salt and other minerals on the way out. Even worse, Van Deventer says, the area is sinking as water eats away at underground salts. He fears a collapse like the “Wink Sinks,” famously large sinkholes not far away in Winkler County. With its own sleuthing and help from the Railroad Commission, the Middle Pecos Groundwater Conservation District has discovered that the well was among dozens that oilmen drilled around here during the 1930s, 40s and 50s — unable to strike it rich. Ranchers then repurposed some of these wells for irrigation. But they walked away, leaving the wells subject to cracks, corrosion and other natural damage. The groundwater district has found about a dozen such unplugged wells, including several that are flowing. Landowners — some of whom live elsewhere and own small parcels — are unwilling or unable to pay for plugging, which would probably cost hundreds of thousands of dollars more than typical jobs. Cash-strapped itself, the district has asked the Texas Railroad Commission to clean them up. But that agency, which jointly regulates and champions oil and gas production, says it can’t plug most of them — even if oilmen originally drilled them. Terry Clawson, a spokesman for the Texas Commission on Environmental Quality, said his agency has no plugging responsibilities either — for water wells or any other types. It appears no state agency has such a role. Groundwater officials like Edwards and his boss, Paul Weatherby, spend plenty of time searching for abandoned wells. 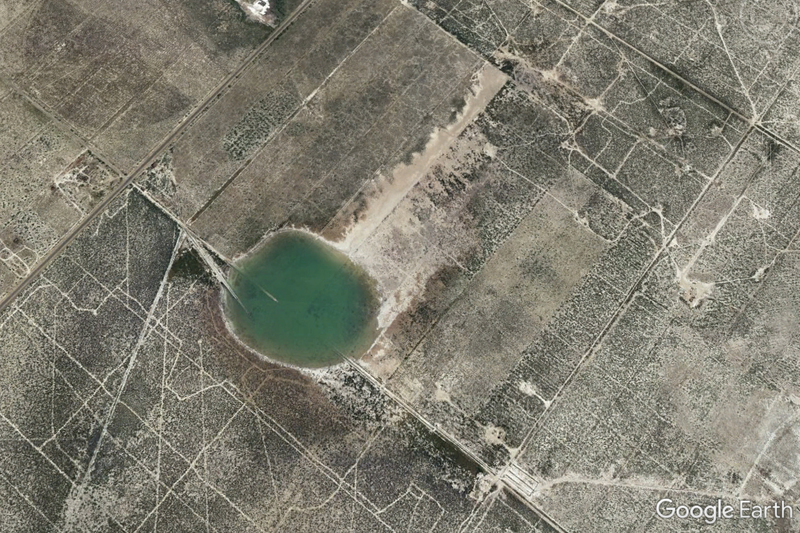 Often by truck, once in a while by plane, and sometimes just using Google maps, they scour Pecos County for drilling leftovers that could pollute water. They try to gather as much information as they can about each well. Who drilled it? Who last operated it? Who is responsible for shelling out thousands of dollars to plug it? The groundwater officials send whatever they can glean to the Railroad Commission. The agency can order companies to plug abandoned wells and levy penalties if they don’t. But often, the responsible party is long gone — bankrupt, perhaps. In those cases, the commission, tapping fees it collects from industry, might hire a contractor to plug a well. The hit-and-miss process can be frustrating, even when it results in a state-funded cleanup. How often do abandoned wells pollute groundwater? That’s hard to say. A 2011 study prepared for the Oklahoma-based Groundwater Protection Council cited 30 times that abandoned drilling sites polluted Texas groundwater from 1993 to 2008. The Railroad Commission told The Texas Tribune that it has not linked any groundwater contamination cases to abandoned wells since 2009. But experts say pollution can fester where no one has looked. In one extreme case decades ago, an abandoned well leaked brine for more than 22 years before someone discovered that it was polluting groundwater below 400 to 600 acres of Scurry County, according to a 1990 study by the University of Texas’ Bureau of Economic Geology. “What happens underground, where you have a contaminated aquifer, no one knows,” said Green, the Southwest Research Institute hydrologist. Old wells typically offer the biggest threats because freewheeling drillers long ago faced lax standards and used relatively weak materials for casing — meaning the wells do little to guard water from pollutants. Mother Nature also exacts a toll. But some sloppy drilling techniques aren’t exclusively a thing of the past, one former state regulator suggests. Robert Traylor, a geoscientist who left the Railroad Commission’s Groundwater Advisory Unit in 2015 after more than 20 years at the agency, said that some drillers cut corners during the most recent boom — eager to start pumping after pouring millions of dollars into horizontal wells. “Just drill the well as fast as possible, because they were under such pressure to get cash flow going,” Traylor said in an interview with the Tribune. Texas officials paid little attention to the environmental dangers of abandoned oil wells throughout much of state history. But in 1992, the Railroad Commission launched an aggressive plan to plug wells across Texas — tapping bonds, taxes and other fees it collected from drillers. It has since plugged nearly 31,600 wells at a cost of more than $243 million, according to a commission report published this month. The agency evaluates each well based on a litany of risk factors, and it tries to plug the riskiest wells first. At the end of August, the Railroad Commission was tracking five leaking abandoned wells and 589 that it labeled Priority 2H — a high-risk category that includes wells that don’t protect water sources. The agency’s full stock of “orphaned wells” — those that have been inactive and have lapsed paperwork for more than a year — shrunk dramatically during the 1990s and 2000s. Totals plunged from nearly 18,000 to 7,000 from 2002 to 2010. In recent weeks, West Texas crude has inched above $50 per barrel, giving producers hope that their rough patch will soon be over. But some experts foresee even more abandoned wells on the horizon. For now, the state’s orphaned well list is growing largely because the Railroad Commission struggles to keep plugging at its previous pace. The commission’s annual reports on oilfield cleanup efforts describe the conundrum: few contractors are bidding on state contracts because more lucrative private industry is luring them away. During the boom, these contractors helped companies drill more wells. And during the industry’s two-year slowdown? The state can’t compete with private plugging contracts. Industry representatives play down the severity of the growing orphaned well count — a fluid list that includes thousands of wells in less problematic conditions and a few that don’t necessarily need plugging. And some wells could eventually escape the list if their owners simply renew their lapsed permits. But ahead of what promises to be a tight-fisted Texas legislative session, the Railroad Commission is making it known that it’s bleeding cash and needs more money for cleanups and other core duties. During the drilling slowdown, the agency said it’s collecting less revenue from its chief source: industry taxes and fees. That has forced a 21 percent cut ($16 million) to the “Oil and Gas Regulation Cleanup Fund,” which foots the bill for plugging and other activities. To avoid more cuts, the agency is asking Texas lawmakers for a two-year cash infusion of about $45 million and the ability to keep some of the gas utility taxes it collects, according to a memo written by Commission Chairman Christi Craddick’s office and backed by her two fellow commissioners. The current funding approach “is not sustainable for the long-term welfare of the agency or the oil and gas industry and can lead to health and safety issues that the state must avoid,” the memo says. State Rep. Drew Darby, R-San Angelo, who chairs his chamber’s Energy Resources Committee and formerly sat on the powerful Appropriations Committee, said he would listen closely to such arguments in a session with many high-profile priorities competing for funding. But Traylor, the retired Railroad Commission geoscientist, suggested that the agency would need more than cash to fully address the environmental problem — if you want to call it that. Reporting for this story was supported by a grant from the Society for Environmental Journalists. A complete list of Tribune donors and sponsors can be viewed here. Well stupid, f**king Texas gets what it deserves. The state issued permits with no provisions or requirements. I cannot think of any state I wish poisoning on more than right-wing trump supporting Texas.